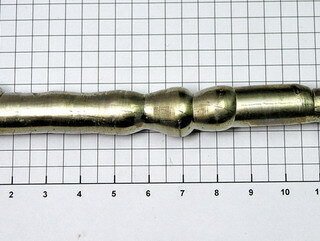 Discovered by A.F. Cronstedt in 1751 in Stockholm, Sweden. 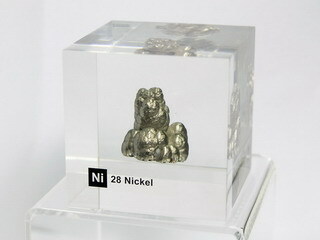 Nickel is a silver-white metal which occurs mainly in the sulfide and arsenic ores. It is extracted by roasting to NiO and then reducing using carbon. 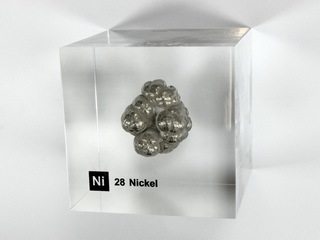 Pure nickel is manufactured by the Mond process, in which impure nickel is reacted with carbon monoxide (CO) to produce Ni(CO)4, which is then decomposed at 200C to yield 99.99% Ni. 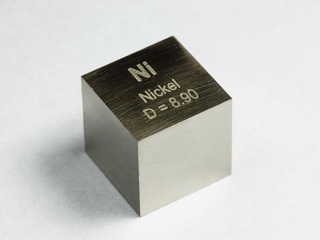 Nickel has an abundance of 80 ppm in the earth's crust. 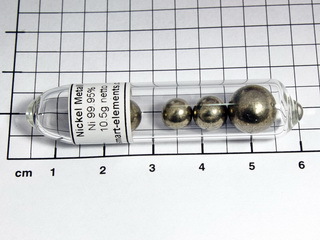 Pure nickel is malleable and ductile, and is resistant to corrosion in air or water, and hence is used as a protective coating. 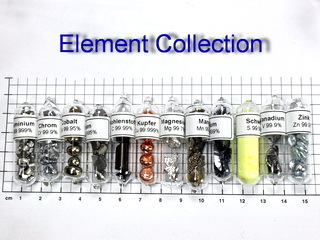 It is readily soluble in dilute acids, but is unaffected by alkalis. 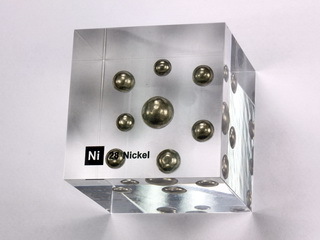 Applications for nickel include its use as a constituent of various alloy types; for example, Nichrome (an alloy used for resistance heating elements), Monel (corrosion resistant material), Permalloy (an alloy with high magnetic permeability at low field strength and low hysteresis loss), stainless steel, cupro-nickel, nickel silver, etc. 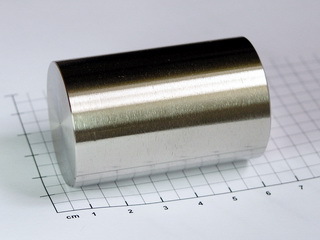 It is also used in coinage, as a protective coating and within food and chemical handling plants. 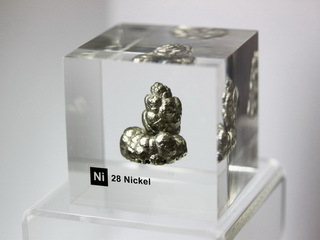 Nickel is classed as a carcinogen and is also an allergen to some individuals. 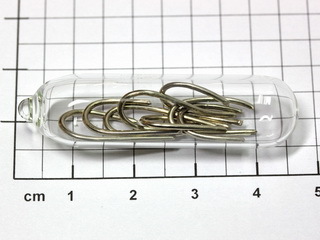 It is found in many dietary constituents and, as such, is difficult to avoid.